Mark your calendars for the Urban Living Tour, benefitting Rebuilding Together Oakland. Sunday September 15th from 11 am - 5 pm. The tour will start at the Historic Oakland Train Station. 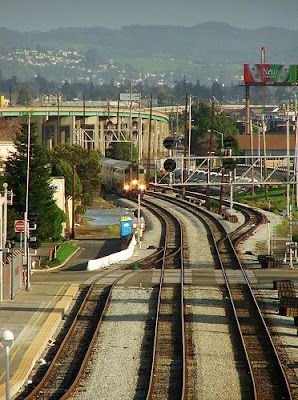 The tour promises to celebrate the East Bay's unique urban fabric. I searched for more information without luck, but the event sounds tempting and it is for a good cause. 100% of the proceeds will go to Rebuilding Together Oakland. Rebuilding Together Oakland (RTO) rehabilitates the homes of low-income elderly and disabled homeowners, so they may live in safety, comfort and independence. For more info and to purchase tickets, click here.